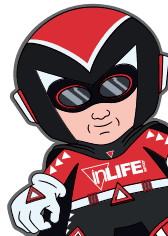 inLIFE are your friendly local agency providing SEO in Staffordshire. We specialise in providing organic SEO solutions to companies in and around the Staffordshire area, simply because that is where we are based. From experience with SEO we have discovered a lot of companies never get to personally meet their Search Engine Optimisation agency, whereas we are proud to have an open office policy so you can come and visit us whenever you like. Our organic SEO, put simply is aimed to get you to the top of the Search Engine Results page for core search terms in your industry. Most agencies will start off getting you in a contract for monthly SEO services, but at inLIFE we know not everyone’s needs are the same and your website is only as good as the foundations it is built on. This is why we start off by providing a free website review. This is a multiple page report outlining how well your website code is written in terms of SEO. We provide this report with absolutely no obligation. inLIFE’s Staffordshire SEO solutions first offer 2 initial stages to help build your website SEO foundations before going any further. The first stage repairs all issues we found within the report and the second stage looks over keyword consistency across all your pages. We also develop a number off off site SEO solutions at this stage including Google and Bing Webmaster accounts and Google product feeds if required. In these initial stages we input your website into our advanced SEO reporting tool which tracks your keywords and shows al progress we have made in the first stages. Unlike a lot of agencies we like to prove the work we are doing is having a positive impact on both your website and business. Within our monthly Search Engine Optimisation (SEO) packages we offer solutions to suite any business needs and budget. We provide a real time tracking solution in which our clients can log in at any time and track progress of their rankings. 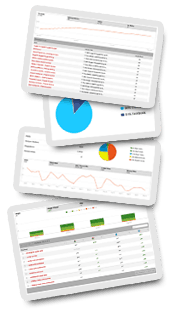 Our advanced reporting also tracks all social media presence, most popular social media interactions as well competitor analysis, search term analysis, page authority and a lot more. We also understand our Staffordshire SEO clients don’t always have time to log in a track their progress which is why we also provide weekly or monthly PDF reports of the entire process, so you always know whats going on with your Staffordshire website SEO. When you allow inLIFE to provide your Staffordshire SEO solution you can rest assured you are working with your local experts. Our founder and CEO has worked on SEO solutions for companies such as Phones4u and Rosemary Conley. He also has also not only provided advise in the worlds best selling web design magazine but also has an international selling book available on the subject of SEO. 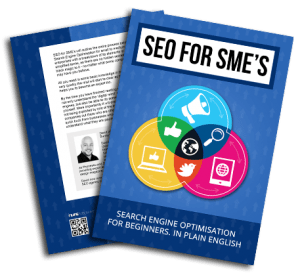 The book is called SEO for SME’s and is available on amazon here. Also available on iTunes and audible in audio book format.